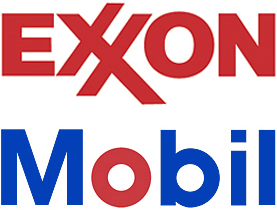 World's largest oil company by market value, Exxon Mobil Corp has said that it will cut spending on new wells, offshore platforms and fuel plants by about 13 per cent after it recorded an increase in reserves. The company has said that the capital expenditures will be average at about $37 billion per year this year and for the next several years compared to $42.5 billion in 2013. The company, which is based in Irving, Texas said in a filing with the U. S. Securities and Exchange Commission filing yesterday that it's spending is expected to fall in the coming years. Exxon is planning to spend $6 billion this year on projects to reduce emissions linked to climate change and air, water and soil pollution. The company said that the level of expenditure would be same as that in the year 2013. Chairman and Chief Executive Officer Rex Tillerson are expected to announce the results of the company in the coming week and development outlook at a meeting in New York. The company is aiming to boost its image and reduce its impact on the environment.